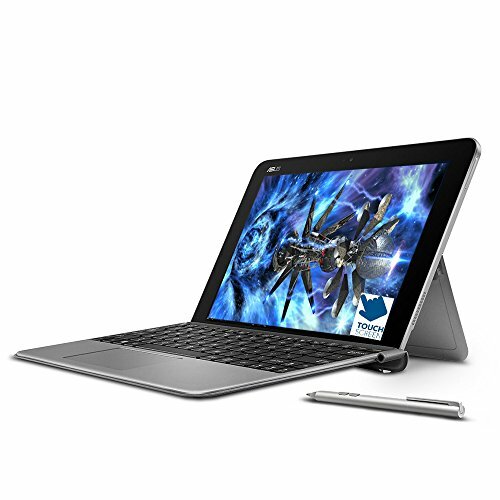 The mighty Mini No need for a separate tablet and laptop when you can have both in one ultra-thin and feather-light device with the ASUS Transformer Mini T102HA. With the keyboard attached, it's a full-fledged laptop ready for serious productivity. Detach the 10.1-inch display and you've got a handy tablet that's set for binge-watching your favorite shows. The Transformer Mini easily handles the bump and grind of daily use, too, built from durable yet incredibly light magnesium-aluminum alloy. Fast, efficient performance The Mini's Intel Atom processor, 4GB of memory, and 64GB eMMC drive deliver smooth and quick computing, perfect for multitasking. One-touch access Unlock and log in to the Mini with Instant ID scanning which works with Windows Hello to sign you in with just a touch of your finger. All-day battery With up to 11 hours* between charges, this PC can stay unplugged all day at work or school with enough juice left over for fun at night.The Mini has the ports you need to stay charged up and connected on the go with USB 3.0, Micro HDMI, and Micro SD. Windows 10 Operating system. Smart Hinge design Upright, flat, or in between, the the Mini's screen adjusts to the perfect view every time thanks to 170° wide-angle Smart Hinge movement.